12" x 8" and 6" x 8"
12″ x 8″ — Holds 24 pens. 6″ x 8″ — holds 12 pens. 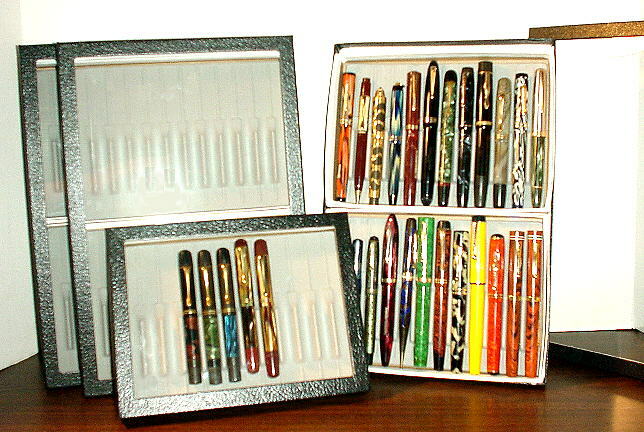 Display your pens. Store your pens. No rolling, shifting, scratching. Box insert colors: Grey (most popular), Dark Grey. By special order only: Red, Green, Black, Tan.